This southern tale begins when Laura Gantt returns home to Georgia when her mother passes away. Upon returning, she hears rumors swirling that her father has been spotted. Her father who’s been dead for 12 years. Stressed by both the death of her mother and the rumored sightings of her father she leans on Sean Halloran, Laura’s old boyfriend who still manages to make her feel something. 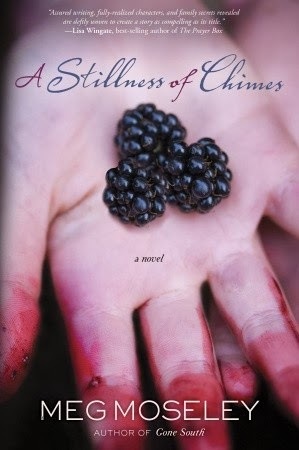 A Stillness of Chimes is a story of forgiveness, pain, and love that never leaves. Well, I’ll start with the things I enjoyed about this book. There was a certain southern charm about the characters. Laura, Sean, and Cassie were all quite funny in a real, down-to-earth way. The mystery was entertaining, even if it was a bit repetitive. The love story was cute. The main problem I had with A Stillness of Chimes was that there were 343 pages of a story that could have fit into 100. To be honest, I got really bored. I felt like I was reading the same thing at page 50 that I was reading at page 250. The mystery of Laura’s dad possibly being alive consumed the entire story, instead of enforcing it. There were good elements to the story; like the characters, setting, and family history. I’m sure a lot of people would like this book, but for me personally I thought it was just OK.